It started soon after lunchtime. 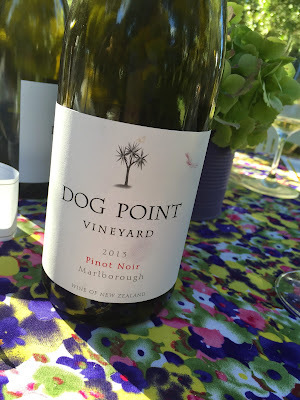 I spent much of Saturday with the crew from Marlborough’s Dog Point Wines, who kindly invited me to their Dog Point/Logan Brown ‘Classic Kiwi Picnic’ – a food and booze celebration, showcasing the new Dog Point releases, held in late summer sunshine every year. What made this year different was not the new ’13 Dog Point Pinot Noir (which is up there with ’11 and ’06 as the best from the brand), or the bloody awesome Logan Brown lamb on a spit, but the cricket game going on much further north in Auckland. This cricket event was more than just a game – it was a grudge match. Kiwis versus Aussies in a World Cup cricket contest thought to be the most evenly matched in 20 years. Given that the Aussies have won numerous world cups, while the Kiwis none, the expectation was that, ultimately, the Australian team would win. They had to win. Even the mass of proud New Zealanders at my table thought it was in the bag. They were resigned to it. Especially when the first few overs went for plenty of runs. But post-lunch things changed. The Australians lost a wicket. Then another one soon after. Then another. Every wicket after that and the crowd of 180-odd Kiwis (save for a small group of Poms and another Aussie) got more excited, louder and more triumphant. Words like ‘annihilated, ’embarrassing’ and ‘collapse’ were being tossed up, associated with much (good-natured) laughter heaped in my direction. That’s when Dog Point winemaker James Healy took pity on me. Promised that, given I was now one of just a few downtrodden Aussies, he would open some very special wines later in the day for me to drink. A consolation prize. This famed trio of wines were that prize. Happily, the Australian bowlers picked themselves up too, doggedly forcing the game down to within a single wicket of victory. I started to wonder at one point whether I should be shouting the crowd Burgundy when Mitch Starc took another bag of wickets. It was close. Yet the locals prevailed, us Aussies saved some face, and I ended up presented with this world class wine matchup. What was even more satisfying about this ‘runners up’ wine experience was to drink the stuff. 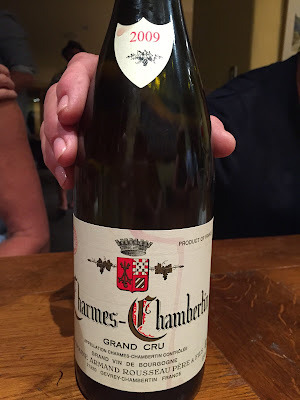 All-too-often I’ve had small glasses of Rousseau in a hurried flight of comparison wines, the emphasis more on proving just how good some other Pinot Noir was than concentrating on just drinking what was in the glass. So what a pleasure to pour a large glass of each of these and drink on through. My only caveat is that there were numerous wines before these three. Numerous. I was in ‘drinking marathon’ mode, so the water was flowing too, yet still I could have missed some of the finest details. Hopefully these notes make sense regardless. A very special thankyou also to Ivan, James and the whole Dog Point crew. Great, generous people making some of the best wines in Marlborough.